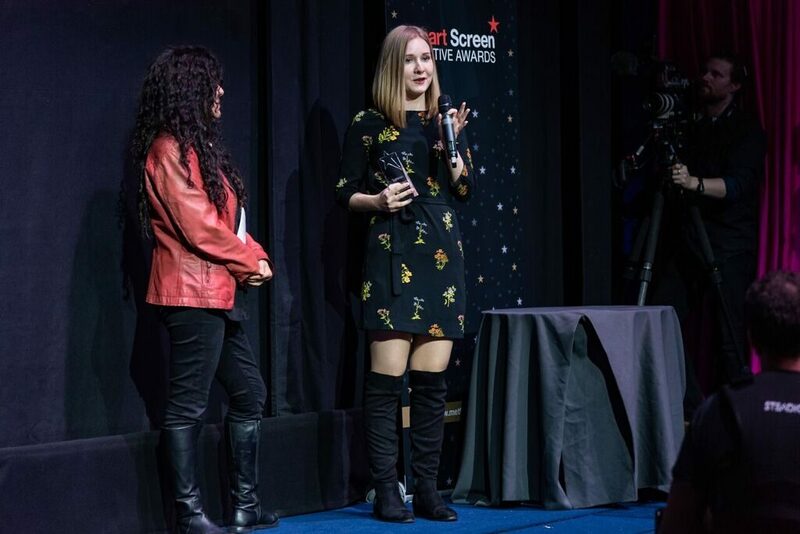 MetFilm School hosted its third annual Smart Screen Creative Awards at the Ham Yard Hotel in London’s Soho on Monday night. 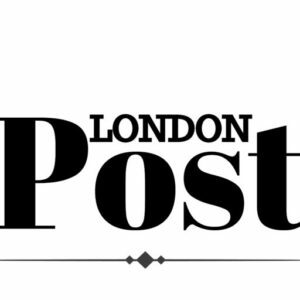 It was a glittering celebration of work from degree, postgraduate and short course students studying at the School’s London (Ealing) and Berlin campuses. 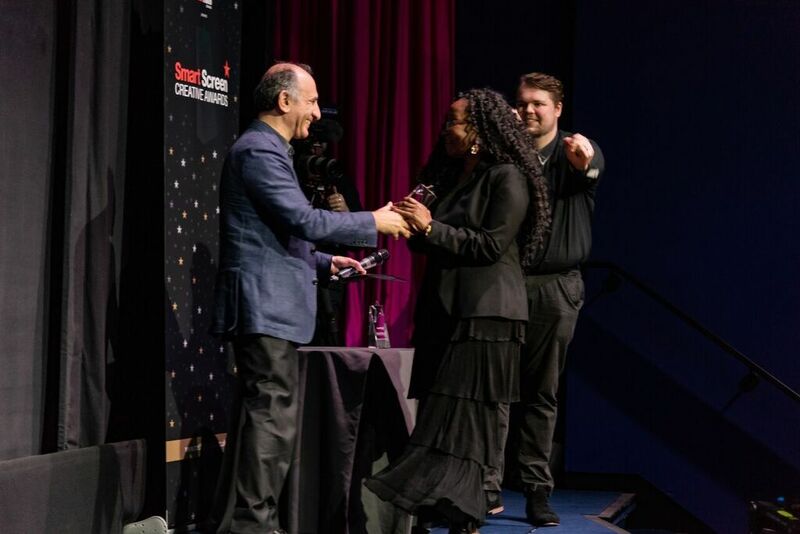 The Awards were judged by well-known industry professionals including writer and director, ArmandoIanucci (The Thick of It, Veep, The Death of Stalin,) producer, Tanya Seghatchian (Harry Potter, The Crown, Cold War), Head of Programming at Channel 5, Ben Frow, writer, Ash Ditta (Swimming with Men, The Catherine Tate Show), CEO, Ukie – the UK’s trade body for games and interactive entertainment, Dr Jo Twist OBE and Head of Development at Carnival Films, Jo Strevens. The Awards, in association with Procam and Take 2, saw around 150 students, their friends and families gather to pick up the top honours; the event saw double the amount of entries of previous years’ acrossjust six categories. The film features octogenarians who grew up seeing the terrors of World War II and have devoted their lives to improving mankind; a generation of truly great minds. Arta said: “Winning this award has shown me that I can achieve the things that I want to in life. It’s made me believe more in myself. Because, I was doubting myself wondering how people would receive the film – especially because it’s in Latvian. After being forced to write with her right hand whilst growing up in Japan, this left-handed Brazilian filmmaker goes on to interview people from across the world and explores what makes people ‘different’. Juliana said: “This is the first award that I’ve ever won in my life, it’s such a humbling feeling and at the same time I was so proud. I have never felt like this before and it’s a strange combination. Big winners on the night went to Gaby Fernandez Walean and Petra Krillic and the team behind the filmWorldwide Tribe. This film won two categories: Audience Engagement, and Impact. This was a realindustry project to help raise awareness of the organisation and its work to highlight the humanity behind world issues. Gaby said: “This means a lot, I know that everyone says that they weren’t expecting to win. We weren’t really thinking of submitting Worldwide Tribe to any competition just because we wanted to get this done for the organisation itself. Our lecturer said, just give it a shot – see how people react to it. The Innovation award went to Kimi Msibi and the team behind the film, The After Taste. This was a very personal story about life for women in South Africa. A short, powerful and poetic film that exposeshow the hidden effects of a patriarchal society contributes to Gender Based Violence (GBV). This is an historical, magical fantasy and Raphaela managed to secure funding from the Swiss government and she engaged influencers from the worlds of equestrian society and social media to drum up a huge amount of interest in her project.